After I visited Mary Licari in her old watch tower in Malta for one of my meet in your kitchen features, I came home with lots of inspiration and a long list of recipes which I couldn’t wait to try in my kitchen! 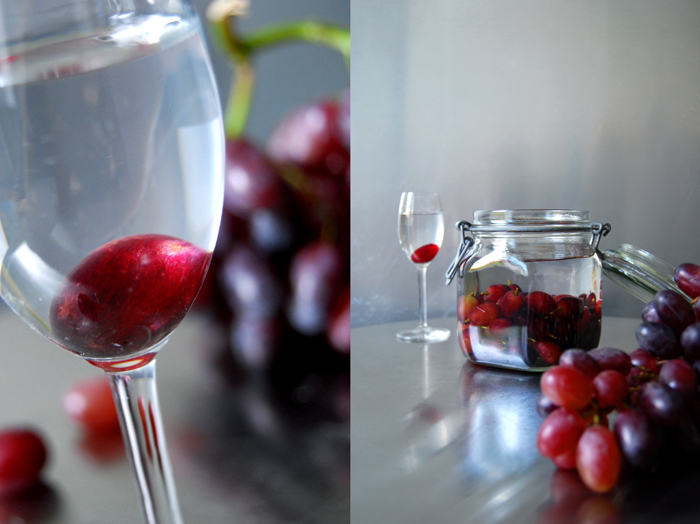 On that hot afternoon in August, she treated me to so many delicacies and one of them was red grapes in anisette which she made in 1985! She topped her homemade banana ice cream (which was also to die for!) with these amazing grapes that have been in the bottle for almost 30 years! I almost felt too shy to eat them, that’s such a treasure, fruit soaked in three decades of aroma! It was my second visit to her house, just a day before I left the island to go back to Berlin. As always when meeting Mary, you have to be prepared for food, lots of good food! We wanted to stop at her house to say a quick good bye but as soon as we got into the house, Mary got out the plates and treated us to an amazing three course meal, finished with these fantastic drunken fruits. They were sweet and strong, a bit wrinkled, enhanced with the strong flavour of anise. The texture was a bit like jelly, but not as soft, they still had some crunch. It was a special culinary experience that I will never forget! 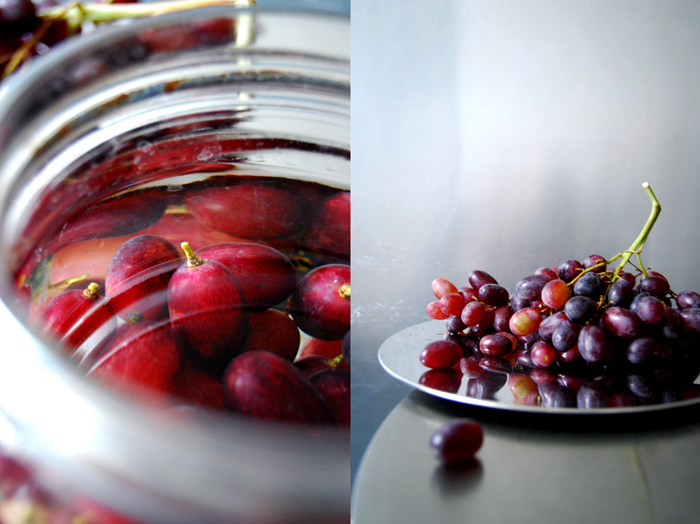 I’ve been back home for more than a month and I still can’t get Mary’s amazing grapes out of my head. There’s no reason to wait any longer! 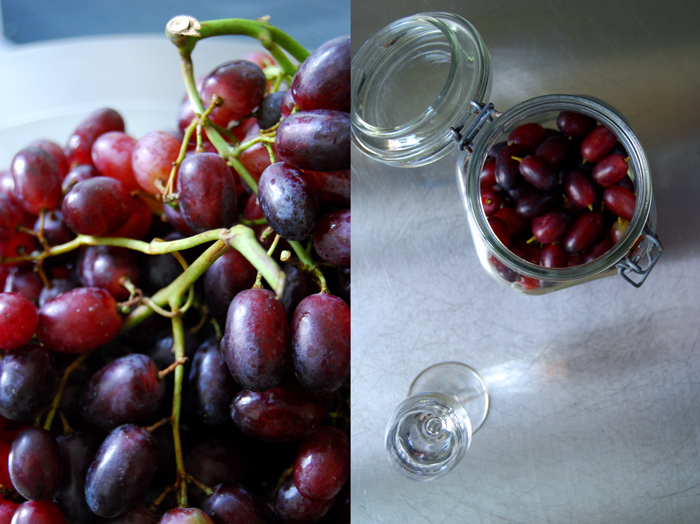 The Italian grapes taste amazing at the moment and there’s a bottle of Ouzo waiting to be emptied. I won’t wait for 30 years to eat them (I’m too impatient!) but maybe I will keep some of them for a year or two. 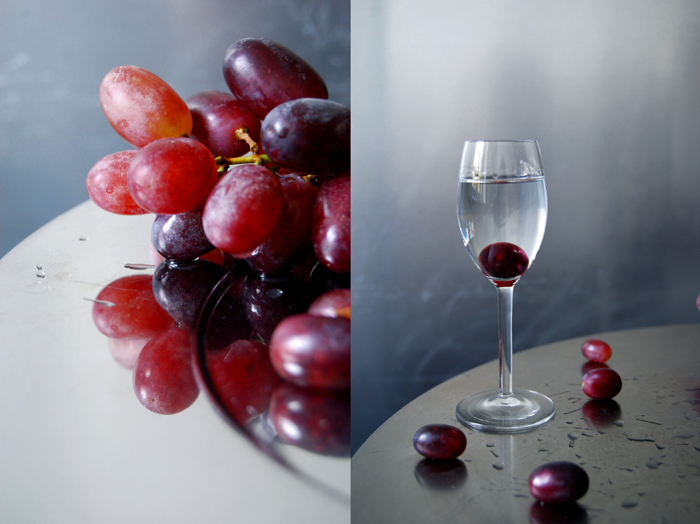 Mary taught me to keep a little stalk on the grapes, that prevents the fruit from soaking up too much of the liquid! 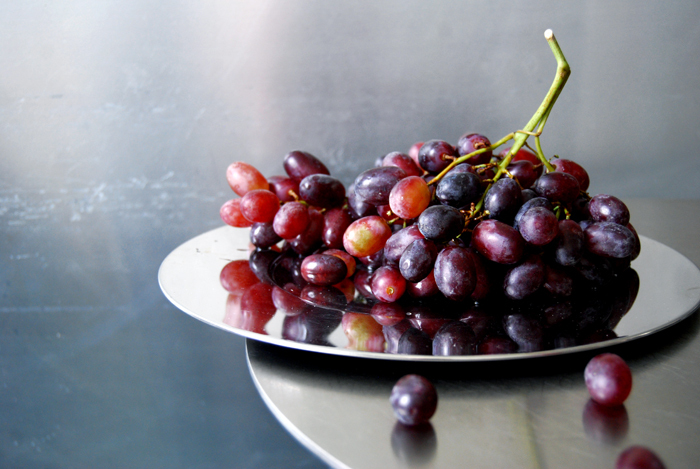 Cut the single grapes off the bunch. Don’t pull them off, keep a short piece of stalk of about 1/2 cm / 1/4 ” on each of them. 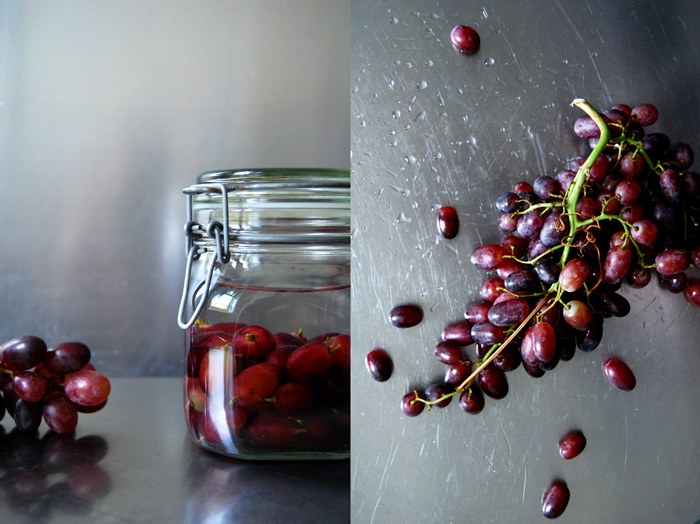 Put the grapes in a clean jar and fill with anisette until the fruits are covered. Let it sit for at least a month, or for years, like Mary. Serve with ice cream or cheese.